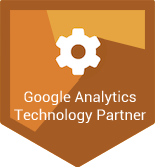 Choose the Account and Property, in which the Hero shall push the keyword data. 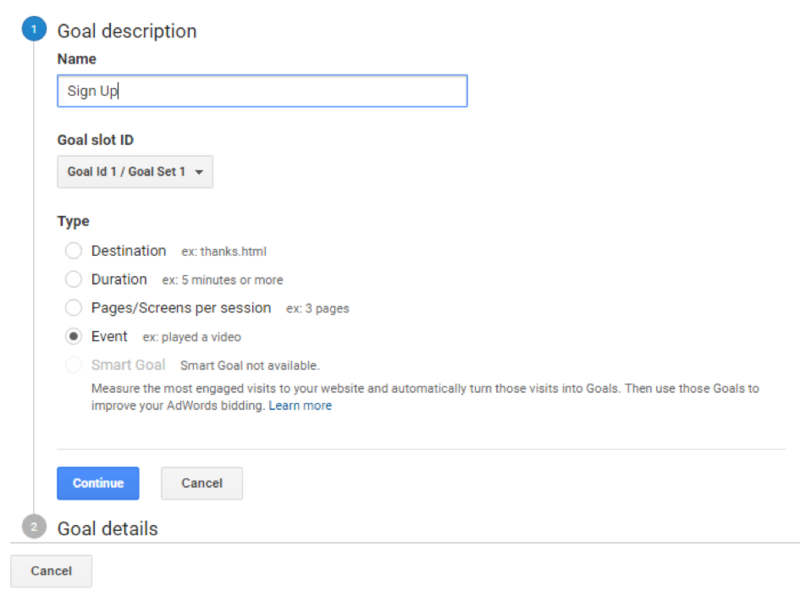 Select in the “View” column on the right “Goals”. Select “+new Goal”. A dialog opens. Name the Goal. In our example we chose “Sign Up”. Select the “Event” as Type. Enter “Conversion” as Category (important: watch out to spell correctly). 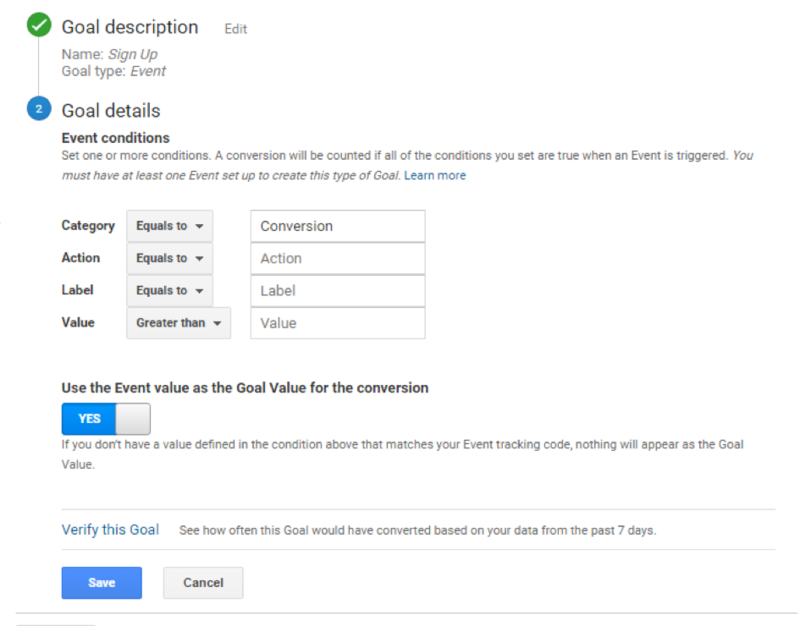 Select “Yes” at “Use the Event Value as the Goal Value for the conversion”.